Our country is in the grips of a gun violence crisis. It has crept into our neighborhoods, towns, cities, and states. It has created fear in spaces of joy and innocence, like movie theaters and schools. It costs our cities and towns millions of dollars and leaves holes in our communities that can never be filled. It makes our country stand out in the worst of ways. Neither of us began our lives in public service thinking that gun violence prevention would be our life’s work. But gun violence shattered our lives as we knew them, and we won’t stop fighting to prevent mass shooting tragedies and the gun violence that occurs on our streets and in our homes every single day. Survivors, advocates, and allies can change hearts and minds—and move more people to join our fight for solutions— by telling stories about the irreparable damage that gun violence does to families and communities across the country. that so many of my brothers already call their tomb. When I think of Tamir as his mother, the woman who gave birth to him, I wonder why my son had to lose his life in such a horrific way in this great place we call America. Police terrorism is real in this country. In many countries this may seem normal, but in America this is not supposed to be normal. Tamir was an all-American kid with a promising and bright future. Tamir was the life of his family, and I always knew that my son would make some type of change. He was a talented, caring, and loving child. When I lost Tamir, I lost a piece of myself. I was thrown into the political lights and now I am a national leader fighting for human rights. American police terrorism was created to control the black and brown people of slavery. This remains vivid today. We need change across this country and accountability for our loved ones whose lives have been stolen by American terrorism. Who will govern the government when they continueto murder American citizens? Injustice in this country is pitiful and pathetic. The injustice starts with economics, education, and politicians. Tamir will always be the reason I continue to do this work and fight for equality of human rights in this country. I am not afraid of the leadership that I have come into upon the death of my son. I am not afraid to create change and to be a part of change. in her bed, her face beaten beyond recognition. just on the other side of the bar from me. calmly walked out the front door and down the street. moved to Arkansas from New Mexico. He raised hamsters and hermit crabs. and shot cans and bottles with his .22 rifle. and his mother had shot herself in the head. ended up shooting himself in the head as well. and shot two other teachers, who survived. but it doesn’t really matter what. It did not matter to the National Rifle Association (NRA), the Republican members of Congress, Donald Trump, Republican governors, Republican state legislators, and some Democratic leaders that my neighbor killed his mother in her bed, then drove to Sandy Hook Elementary School to brutally gun down twenty children and six educators with an AR-15 with high-capacity magazines, or that a hundred thousand Americans are killed or injured by guns in our towns and cities across the nation every single year, or that there are nearly three hundred mass shooting incidents annually. It mattered to us. We are a group of Newtown, Connecticut, neighbors and friends who formed the Newtown Action Alliance, a grassroots group advocating for cultural and legislative changes to end gun violence in our nation. It mattered to 90 percent of Americans who support expanded background checks. It mattered to families of victims and survivors directly impacted by gun violence. Because it still matters to us, we will work to hold all state and federal elected representatives accountable for standing with the NRA instead of taking action to keep all of us safe from gun violence. Despite the NRA rhetoric, we know firsthand that guns kill and guns don’t make us safer. July 20, 2012, 12:38 a.m.: A 24-year-old white male enters an Aurora Cinemark movie theater through an unalarmed security door. Fueled by a self-admitted desire for infamy and armed with three guns and six thousand rounds of ammunition that he easily and legally obtained, despite his past and current mental health history, he begins shooting with the intent to kill everyone. In the rear of the theater, another 24-year-old man performs a selfless act of love. Knowing the risk to himself, he immediately pulls his girlfriend to the floor using his body to successfully shield her when he is hit in the forehead with a single armor-piercing bullet, violently ending his life. My husband, Tom, and I were not surprised by the heroic actions of our first-born son, Alex Teves. He was always kind and fiercely protected those he loved. We miss him every moment of every day. Alex is one of over 30,000 people killed annually with guns in the United States. 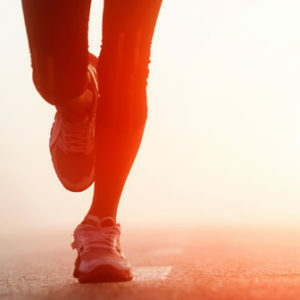 The quest for fame is a well-known motivating factor in rampage mass killings. Upon learning this, we founded NoNotoriety.com, calling for responsible media coverage of these killers in an effort to save lives. 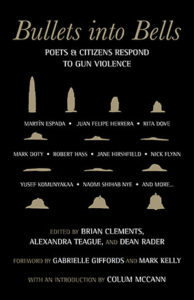 Excerpted from Bullets into Bells: Poets & Citizens Respond to Gun Violence, Edited by Brian Clements, Alexandra Teague, and Dean Rader, with an introduction by Colum McCann and a foreword by Congresswoman Gabrielle Giffords and Captain Mark Kelly (Beacon Press, 2017). Reprinted with Permission from Beacon Press.